Cleaners Hertford is a locally based cleaning service company. We have operated in this dynamic market sector for a number of years now which has given us the necessary experience and knowledge to perform exceptionally well on any job. 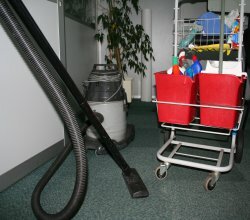 Cleaners Hertford specializes in all types of domestic cleaning. We can perform steam and deep cleaning of carpets, curtains, sofas or other fine fabrics and materials where the use of specialized cleaning systems is required. The company also offers a wide range of quality one-off cleaning services, as well as end of tenancy cleaning. For a complete top to bottom domestic service, customers can take advantage of our affordable gardening service which delivers great results with no additional fuss. Cleaners Hertford is an eco-friendly, green cleaning company. We use only non-toxic, non-harmful detergents and materials as customer health and safety is of utmost importance to us, we implement a strict policy of minimum water wastage which is great news for both customers and the environment. Our technicians come fully prepared for the given job, we have all the necessary equipment and materials. We understand that customers need their service done quickly and efficiently, therefore we send out a team of cleaners, where one won’t do, fully equipped and ready to do a great job. Cleaners Hertford is fully licensed to perform all types of professional domestic cleaning services, the company has all the required trade insurance for customer peace of mind. All our work is done in strict accordance to all health and safety regulations imposed by the relevant authorities. Cleaners Hertford provides a comprehensive list of quality and affordably priced commercial cleaning services to all of its customers. Cleaners Hertford provides comprehensive value for money domestic cleaning to all its clients. Cleaners Hertford provides much choice of options to its entire one-off clientele. Cleaners Hertford offers a variety of different gardening services and some small scale landscaping.